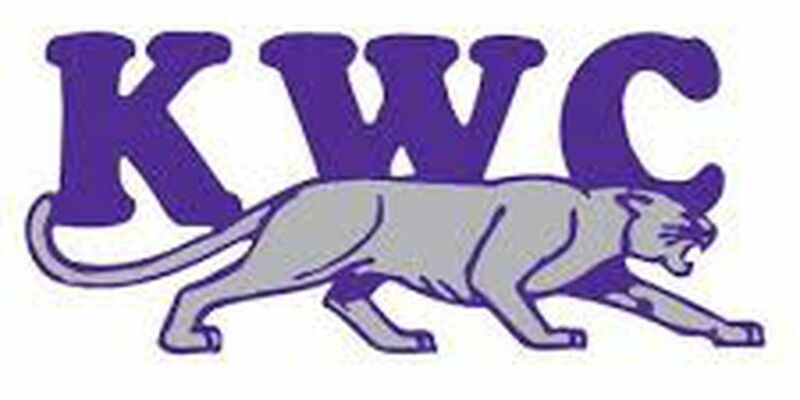 HUNTSVILLE, AL (WFIE) - The Kentucky Wesleyan College softball team split day two of the Charger Chillout on Saturday, taking down Christian Brothers, 5-1, before being edged by Illinois Springfield, 2-1. The Panthers pounced early against the Bucs, scoring one run in the bottom of the first on a single to left field from Maddie Dawson. Wesleyan added to its lead in the third when Lexie Mullen grounded into a fielder’s choice, but was able to drive in Meredith Daunhauer. The Bucs responded in the top of the third with a one-out solo home run to cut the Panthers lead to one. With one on and two out in the bottom of the fifth, Abbey Winstead hit her first collegiate home run over the left center fence to put Wesleyan ahead 4-1. Jaylin Tidwell drove in the Panthers final run with a sacrifice fly in the bottom of the sixth. Daunhauer finished game one a perfect three-for-three at the plate, scoring all three times she got on base. Dawson went three-for-four with one RBI while Winstead paved the way with two RBI's. Bailey Woodall pitched a complete game in her first win of the season. The sophomore struck out six while holding the Bucs to just three hits. Game two quickly turned into a defensive battle as the two teams combined for five base runners in the first three innings. The Prairie Stars got on the board first after a lead off bunt that eventually scored on a single through the right side. The Panthers offense stumbled over the next four innings, only posting one hit and not getting anyone to second base. With two out in the top of the sixth, Jaylin Tidwell put a spark in the Panthers, starting a run of three straight singles for the Panthers. Winstead stepped up with Wesleyan's first runner in scoring position and knocked a line drive to left field, scoring pinch runner Woodall. Mallory Nease drew a walk to load the bases but the Panthers were unable to plate a run. Illinois Springfield answered back in the bottom of the frame, driving in one run after putting runners on the corners with one out. Autumn Grady went the distance in her first loss, striking out two while giving up two runs off of five hits and zero walks. Tidwell was the lone Panther to tab a multi-hit game in game two, going two-for-three at the plate. Wesleyan wraps up the Charger Chillout on Sunday, taking on West Alabama at 11 am CT followed by Shorter at 1 pm CT.
With a big win against Gibson Southern on Wednesday night, the Castle Varsity Lacrosse Club celebrated its 100th victory. It was a record-setting Wednesday afternoon for the Panthers as they played host to the Mighty Oaks.